Nazi Germany and Imperial Japan had won the Second World War, and the United States was partitioned by Germany and Japan. White people were no longer the privileged ones (not in Japan-occupied zone), Jews had all but vanished from New York, and Herbert von Karajan became the Chief Conductor of the New York Philharmonic. In that alternative world, a book about an alternative history where the Allies won the war captured the imagination of the oppressed, while the oppressor sought to murder the person who wrote that book. In our actual reality, right-wing politics is on the rise around the world: Britain has voted to leave the European Union, Alternative für Deutschland and Front National are rising in popularity in Germany and France, and Donald Trump continues to exist as a formidable political force despite being clearly unfit for any high office. From what these people do and say, one can hear a varying degree of authoritarian tendency, a certain disregard of facts, reasons, and logic, and the racial subtext and/or explicit racism, very much reminiscent of the worst moments in 20th. 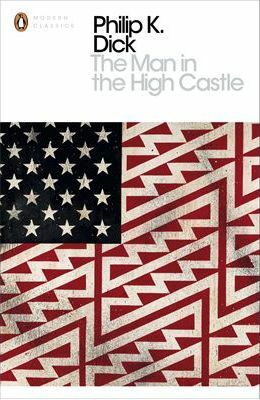 As absurd and terrifying as the imaginary reality in “The Man in the High Castle” may be, the political trend of the present day suggests that that liberty and democracy are a fragile existence, and that imaginary reality is not as impossible as we would like to think.